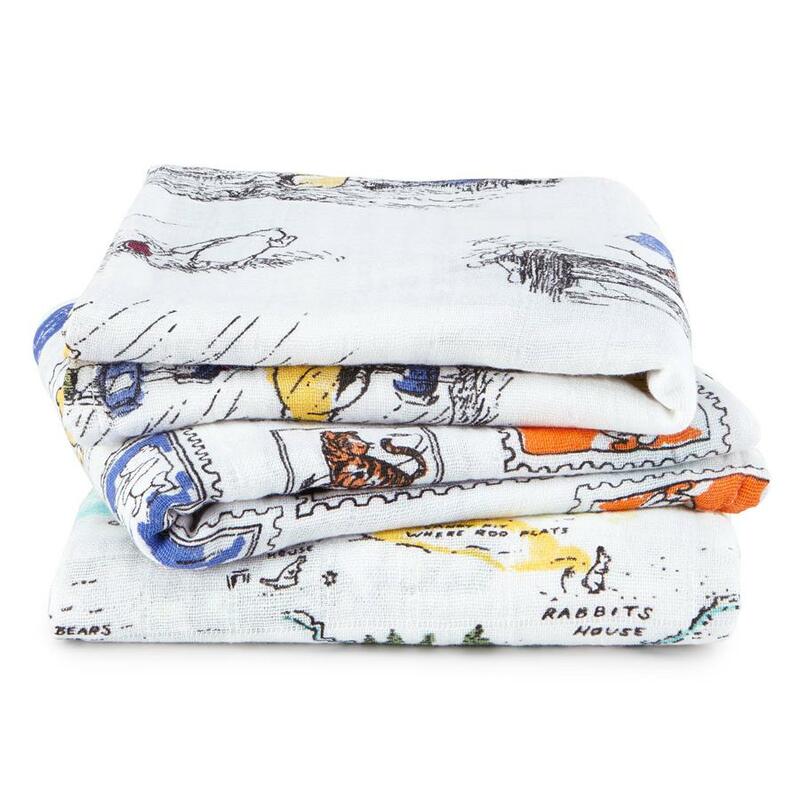 Since our very first baby swaddle launched 10 years ago, our modern aesthetic and iconic prints have always resonated with parents around the world. 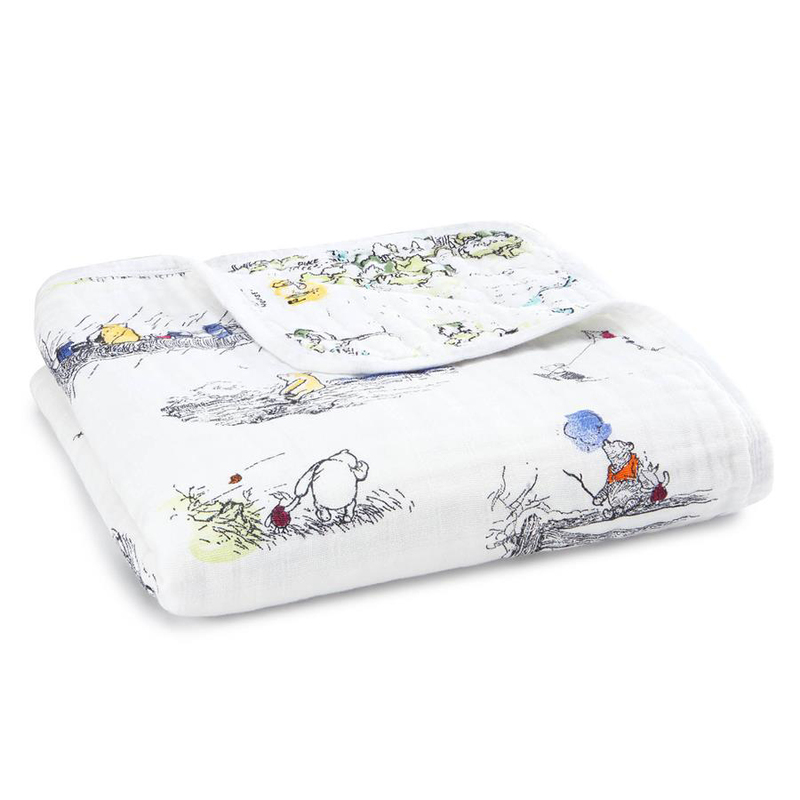 Influenced by stories we hear, scenes we see or inspirational colours, there is a story behind each one of our prints, bringing a depth to our designs that connects with mums and dads while our soft breathable muslin comforts their little one. So what better way to commemorate our 10th anniversary than to collaborate with Disney, the world’s greatest storytellers? 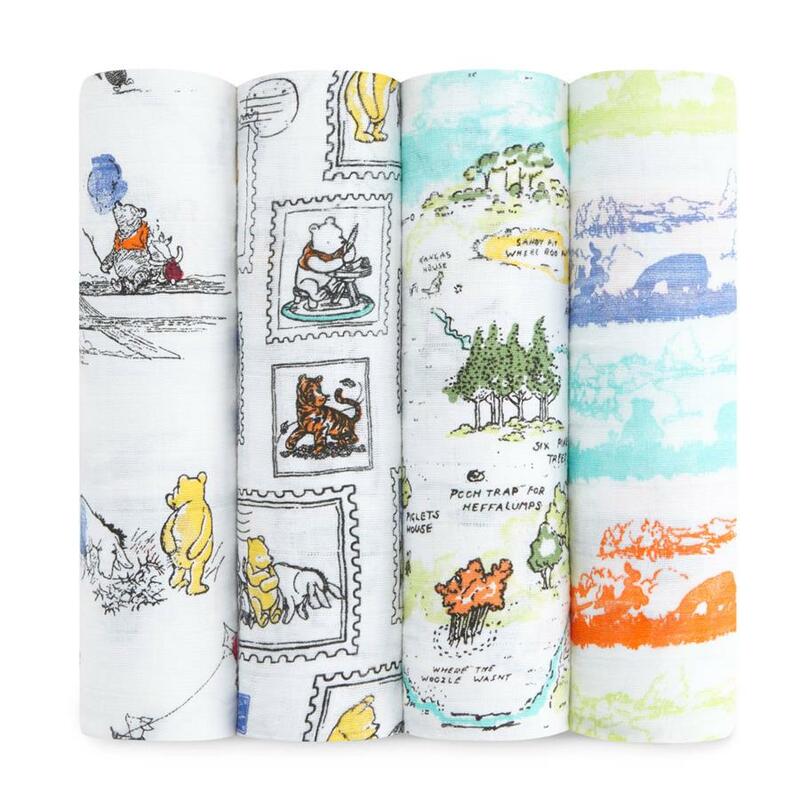 Combining the magic of baby muslin with the wonder of Disney, we are ringing in our tenth birthday with a nostalgic collection of new-born swaddles, baby bibs and baby blankets* featuring hand-sketched iconic Disney characters sure to tickle one and all, from the young to the young at heart. Inspired by the current folk art trend, the aden + anais design team called upon ornate patterns and intricate details to capture the enchanting world of Bambi. They hand-drew original Disney art and then water-painted the sketches for an elevated vintage feel with a colour palette reminiscent of a fairy tale. Using the original storybook as their muse, our designers first chose classic vignettes from Winnie the Pooh’s whimsical adventures and then enhanced the original black and white illustrations with splashes of colour for an authentic, unfinished look. The team was immediately drawn to the map of Hundred Acre Wood that appears in the storybook’s inside cover, as it is the famous stomping grounds of the loveable bear. Colourful and fun, these graphic prints are a playful celebration of The Jungle Book. With the sensibility of a comic book in mind, the design team depicted Mowgli and his friends in high-energy framed scenes. Bright colours and energetic postures also capture the spirit of this wild tale. click here to shop the full collection and experience the wonder of Disney through the magic of muslin.